Shortland (the Australian specialist in German language films, probably best known for Lore) shows sure-footed instincts, conveying a visceral sense of Clare’s claustrophobia, but periodically opening the film up to show more of Andi’s awkward interactions with the world. Yet, in all honesty, many of us regular genre [re]viewers are getting a little tired of creepy abduction thrillers. Shortland and cinematographer Germain McMicking give it plenty of style, but it is debatable whether it really fills a void in the world. 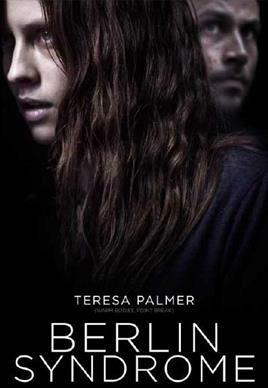 Recommended for those not fatigued with kidnapping-confinement dramas, Berlin Syndrome screens again tonight (1/22) in Salt Lake and Thursday (1/26) and Friday (1/27) in Park City, as part of this year’s Sundance.